This project, located in Olathe, Kansas, involved the development of a nine building medical campus adjacent to the Olathe Medical Center. 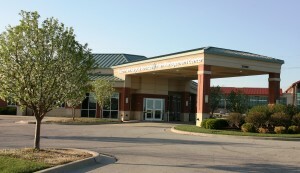 The first building, consisting of 40,000 square feet, was completed in January 2006 and is the home of Johnson County Orthopedics. This high quality prairie style building has been identified as the “new generation of office buildings” to be built in Olathe. At present, three adjacent buildings have been completed, including a surgical center and an eye clinic consisting of 25,000 square feet. US Federal Properties was involved in all aspects of this development from land acquisition, site and building development, marketing sites adjacent to the property, leasing, management and investors relations with the group of doctors.